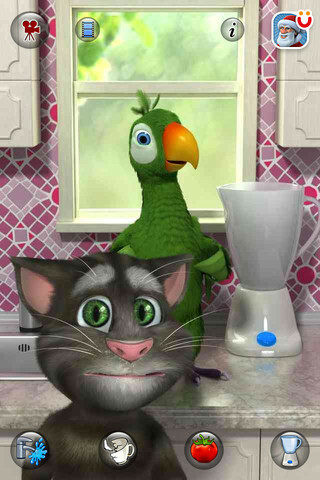 Talking Pierre the Parrot for iPhone - Talking Pierre is a very energetic and lively parrot, who lives in Talking Tom's kitchen. He's still a teenager and he likes to cause as much noise and destruction as possible. 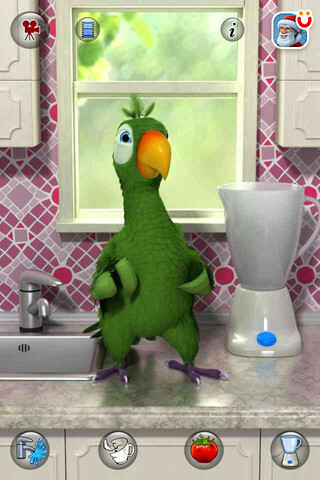 · Talk to Pierre and he will repeat with a twist. · Poke him in the head or belly and see what his reaction is. · Poke him in the feet and enjoy his little cowboy dance. · Tickle his head or body to make him happy. · Press the Blender button to switch the blender on. 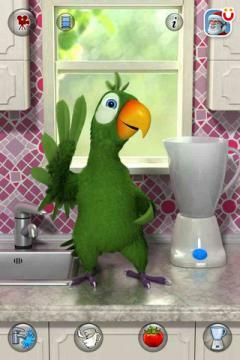 Once the blender is making noise, Pierre cannot hear you anymore. · Press the Tomato button to throw tomatoes at him. 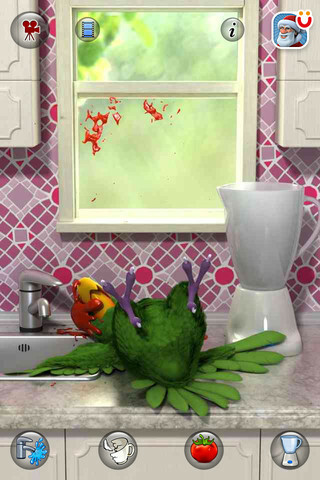 · Press the Cracked Teacup button to see him throw stuff to the floor making lovely noise. 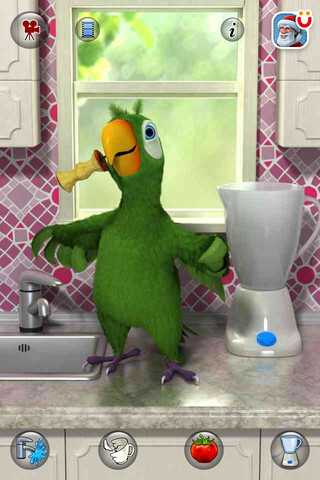 · Press the Water Faucet button to see Pierre start sprinkling water around the kitchen (in-app purchase required). · Record videos and upload them to YouTube & Facebook or send them by email or MMS. · iPod Touch 1st, 2nd & 3rd generation owners: Your earphones must have a microphone otherwise Pierre won't be able to hear you!